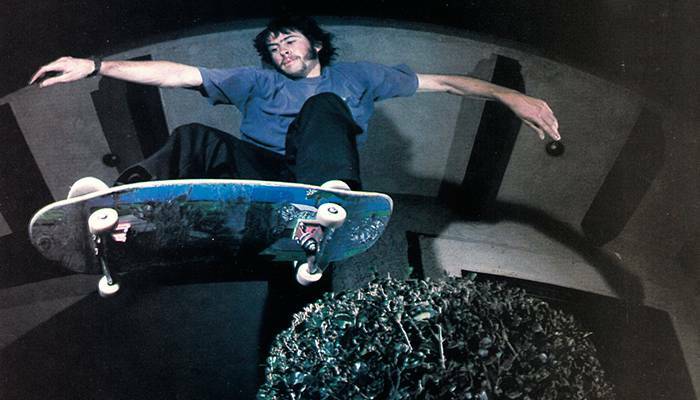 Since the ‘90s, Jason Lee’s name has been synonymous with style in skateboarding. His effortless flowing lines in Video Days  inspired a generation to learn perfect tre flips. Even after his departure for Hollywood, and subsequent return to skateboarding, J. Lee still remains one of the archetypes of proper technique on a skateboard. We don’t see too much of him these days. At 47, with a successful acting and photography career under his belt, I can’t imagine that Jason is skating a ton in 2017. But when he does, it’s still a thing of beauty. Last night, J. Lee dropped a new line on Instagram. The tricks may be basic by modern standards, but the way he does them still looks as good as it did in 1991. Have a look at the clip below and then compare it to his part in Video Days. You’ll see exactly what I’m talking about.